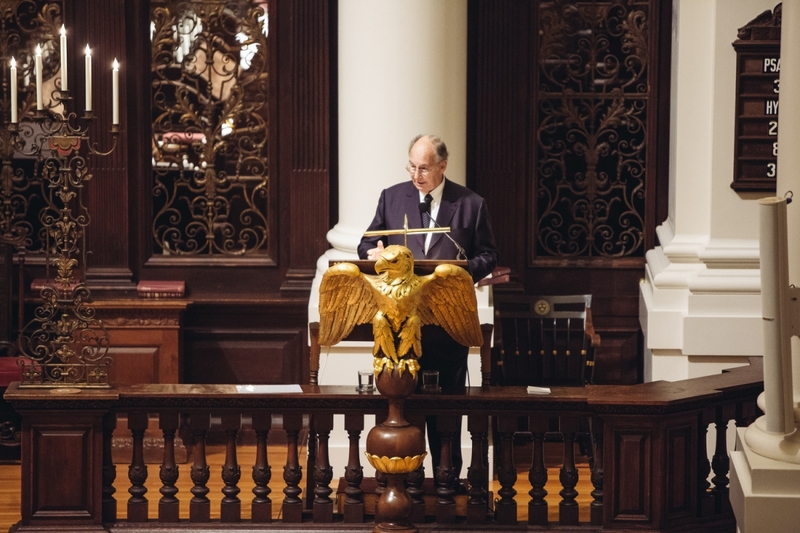 His Highness the Aga Khan delivering the Samuel L. and Elizabeth Jodidi Lecture at Harvard University on 12 November 2015. Cambridge, MA, USA, 12 November 2015 - His Highness the Aga Khan delivered the Samuel L. and Elizabeth Jodidi Lecture at Harvard University's Weatherhead Center for International Affairs. Entitled “The Cosmopolitan Ethic in a Fragmented World”, his lecture covered the challenges to pluralism and cosmopolitanism.